There are many types of climbing that involves rope such as trad or sport as well as no rope such as bouldering or free solo climbing. In the past, most climbing are done outdoor. As time passed, more rock gyms are built so that we can learn and practice climbing indoor and become better prepared to climb outdoor. 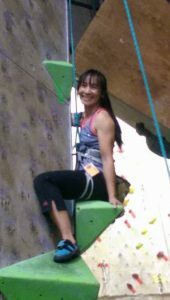 If you would like to open up more challenges and variety to your climbing routine other than top rope routes and bouldering, I would totally recommend lead climbing. 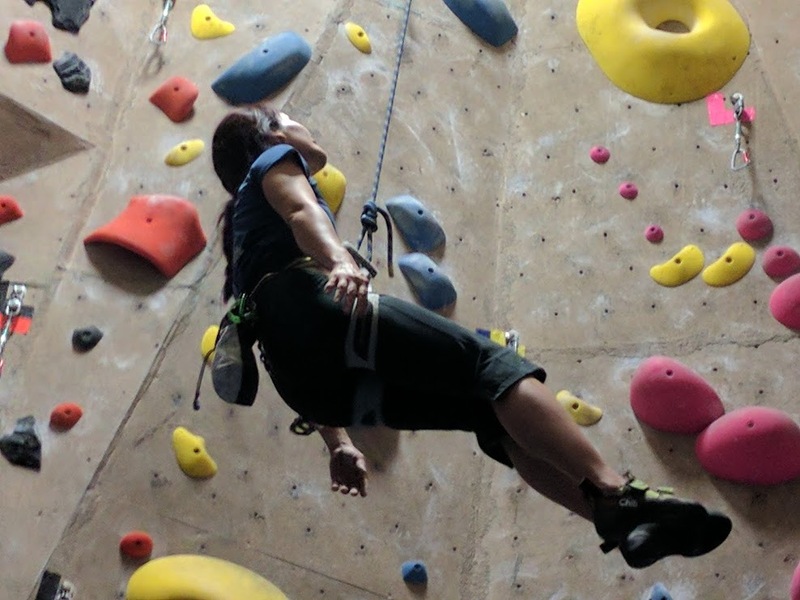 Indoor gym is a great place to start learning how to lead before lead climbing outdoor. In this article, we will discuss specifically lead climbing indoor for beginners. In my opinion, lead climbing is a mix of bouldering and top rope climbing. We lead one end of the rope up as we climb with a belayer as an anchor on the ground to help support a fall. The route is much taller than boudering varying from 30 to 60 feet high and the rating of difficulty starts at 5.8 and higher. In general, there are 6 to 10 quickdraws to a route depending on how tall the wall is. The lead climber would lead the rope that is connected to the climber’s harness. The climber clips the rope into each of the quickdraws as he or she climbs up to the top of the route. The lead belayer has the other end of the rope connected to his or her harness on the ground and is ready to catch or lower the climber when needed. First and foremost, you will need to be a certified lead climber and belayer at a gym that you will be climbing at. There is usually a lead climbing and belay class being offered to all members. The prerequisite of the class is the ability to climb 5.9s or higher consistently. Once you are certified at your gym, you do not have to take the class again in order to climb at other gyms. Other climbing gyms would generally verify that you can lead belay by giving you a lead belay test before you lead climb at their gym. When lead climbing, you will constantly need to have one hand available for the clipping. Make sure your body is balanced and your feet and one hand is secured before you clip your rope. Typically, the quickdraw would be between your chest and your waist for the easiest clip in. However, there will be time when you may tempt to reach over your head to clip the next quickdraw. Keep in mind that reaching requires more energy and longer rope reach. Your fall distance will be double the distance of the current clip and the previous clip. There are two types of clipping that you want to avoid: back clipping and z-clipping. Back clipping happens when the rope is clipped through the front of the quickdraw instead of the back. When you are a beginner, it is hard to see it at first. The symptom of a back clipping occurs when the rope nearest your harness is behind the carabiner and facing the wall. If there is a fall, the rope may pass through the gate and unclip from the quickdraw. The correct position is when the rope nearest your harness is close to you, in front of the carabiner, and away from the wall. Z-clipping occurs occasionally when the two quickdraws are close by to each other. The climber pulls the rope coming from below the previous quickdraw instead from close to the harness and clip the rope into the next quickdraw creating a Z shape with the rope. In case of a fall, the previous quickdraw will catch the fall instead of the most recent clipped in quickdraw. This will result in a longer distance fall. Also, the z-clipping will prevent you from moving further upward. While climbing, be aware of where the rope is relatively to your feet at all time. Make sure your feet are always away from the rope. You do not want to be entangle with the rope when you fall. If your feet get caught you maybe flipped upside down and/or get massive rope burn. My foot snagged the rope when I fell before and it was not a fun experience. During the leading certification course, you will be learning how to fall and how to catch a fall. It is good to do practice falls to build confidence. Being comfortable falling allow you to climb harder and take on more challenging routes. Overcoming the fear of falling is helpful for lead climbing. Although, the fear of falling is a healthy emotion which keep you safe, it is good for your mind to be clear and not allow the fear to control your actions. After my first incident of flipping upside down during my belay certification class, I was totally wigged out. I had a hard time doing practice falls. My hands would not let go of the holds. I was holding on so tight that my forearms were totally pumped. The longer I held on the scarier it got. My mind kept thinking from worse and worst scenarios. Finally, I decided not to think and let go as soon as I clip at the top. I kept doing this until I am comfortable falling. I still get nervous occasionally. However, I keep remind myself that it is OK. I have trust in my equipment and my belayer. I keep my mind blank as much as possible and breathe. When practice falling make sure to manage your rope properly like mentioned above, your mental confidence, your breathing, your gear, and your communication with your belayer. Beware of your surroundings that there are no obstacles and avoid grabbing anything on the way down. Lead climbing requires more gear when climbing outdoor and can get expensive. As for indoor, the only required additional gear is a climbing rope. 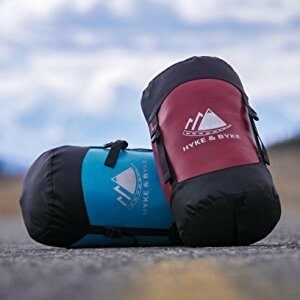 Of course, I would assume that you would already have the normal gear such as the harness, belay device, climbing shoes, and optional chalk and chalk bag. The rope length may vary depending on the height of the wall in your gym. Our gym wall is about 30 feet tall so we use a 30m long rope. There is a new gym called ProjectRocks further south that has a 60 feet wall and we use a 60m long rope to climb lead. Climbing rope diameter thickness is also a consideration. The diameter varies from 9 to 13 mm. You may want to consider 10mm and above for climbing gym because of durability. However, it can get heavy. The frequent usage can wear out a rope faster so it is wise to go a little thicker. The skinnier rope is usually lighter and great for multi-pitch climbs for hiking long distances and carrying lots of gear. However, the skinnier ropes with diameter up to 9.4mm can be less durable and require more skill to belay safely. A 9.5 to 9.9 mm rope is a good range as it is light enough and durable enough for all around outdoor and indoor. 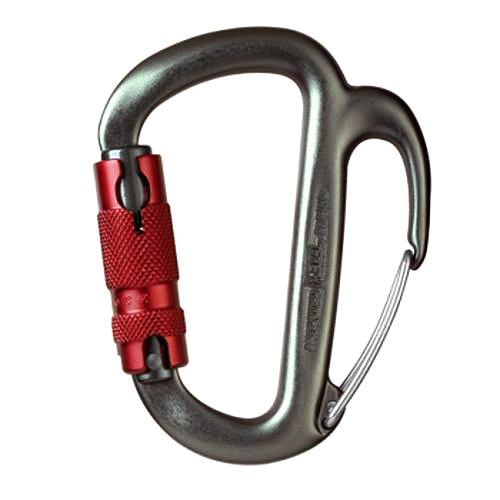 Another optional device for lead climbing is an Elderich Ohm for lightweight belayer. It works great if your gym do not have a 50 pound sand bag to hold the lightweight belayer down. Click HERE to find out more about it. I find lead climbing very challenging and rewarding at the same time. It is scary as well. I have to deal with the fear of falling constantly. However, every time I finish a climb, I smile giddily from ear to ear like a little girl completing a major accomplishment. Safety is and will always be the number one concern when it comes to climbing. Redundancy and back up system keep us alert. Do not take for granted that we have done the figure 8 knot hundreds of times. Always check and double check yourself and your partner. 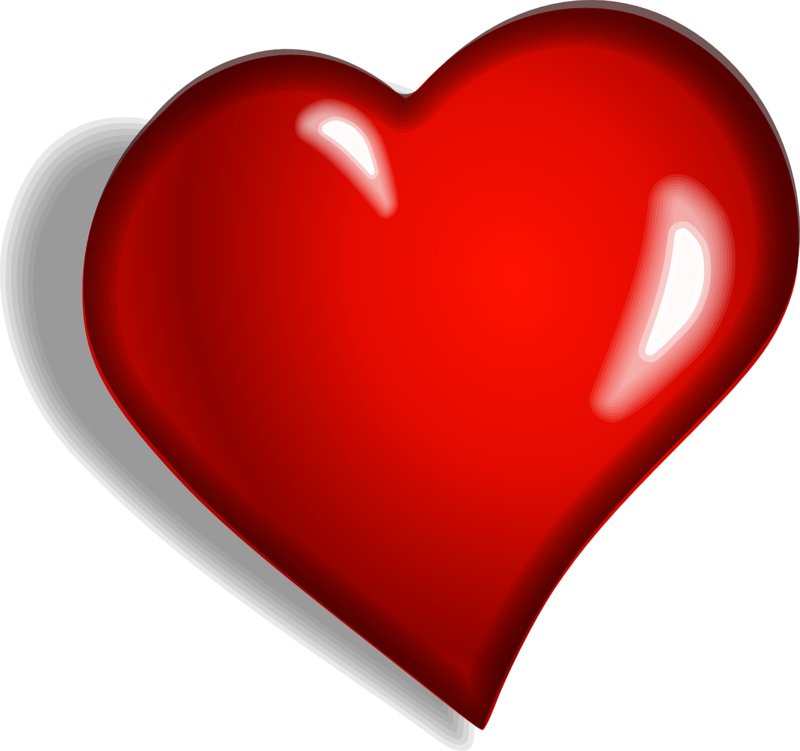 Many accidents occur when we are careless. This article is only an introduction to lead climbing. It is only a tip of the iceberg. If you want to learn more, go out there take the certification class, learn it, apply it, and experience it. With more practice, the better climber you’ll be come. Then outdoor climbing here we come! I love to hear your thoughts or questions on lead climbing. Please leave the comments below. Previous post Black Diamond Belay Device – Reviews of Which One Works Best for You?